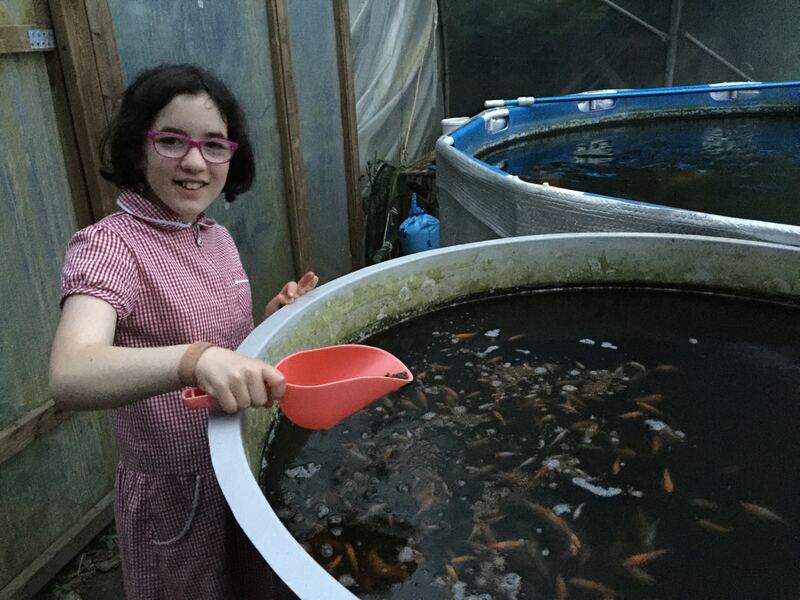 Breeding tropical fish as a young boy was surely the start of my passion for fish keeping, and for the last 5 years I’ve turned my focus to breeding koi. Such is their glamour and majestic presentation in the pond; they are often described as living jewels. And with kohaku as the no. 1 variety in koi’s ‘Go Sanke’, ie the ‘top 3’ varieties; that is where I have directed my focus. The most popular variety and the biggest challenge. 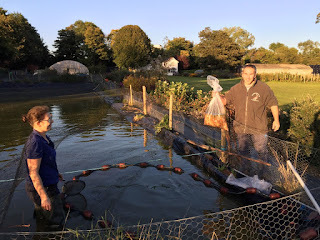 We’ve been breeding koi for 5 years, and I reflect on the first year – much experience gained, but after many spawnings and a lot of effort, we literally had nothing to grow on that winter. And this – our 5th year – we’ve maxed out the potential of our fry ponds and produced around 100k fry for first selection. The small 1 inch koi being the start of our selection process. It’s been a long journey, and as I write this note and reflect on the journey, our tanks are full for this winter’s grow on. I set the 10 year timescale to achieve my objective which is to be regularly winning placings at competitive koi shows in the small to middle sizes. In the last 3 years, we have won 4 baby champions, 1 young champion and many best in overall size placings in the small to medium sizes (BKKS sizes 1,2,3 and 4). There have been numerous placings in size and variety in those sizes and this year, one of our kohaku’s even placed in size and variety in size 5! I have achieved my 10 year objective, in just 5 years. With a secondary project objective to increase interest in koi breeding in the UK, which I feel would enhance the hobby here…. I’ve shared my journey along the way – the lessons learned, and the details of how I’ve gone about things – here on my blog. 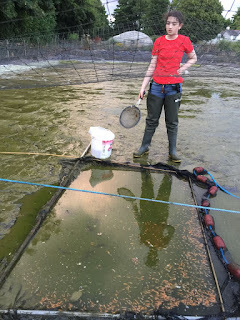 I have no way to measure exactly what impact this has had on the hobby, but hope that it’s playing some part in disseminating knowledge and information to other would be breeders and other similar minded people who just love fish keeping, and in particular, koi keeping. 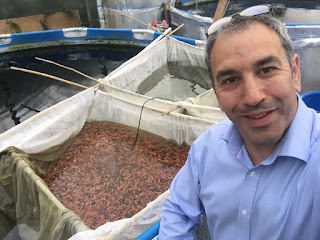 I still believe a greater understanding of how koi are bred, and the immense challenges involved in that, would enhance the hobby here, and bring greater recognition to the major breeding feats that are being achieved by the koi farms in Japan, and the top commercial koi farms around the world. As part of our breeding process, we also sell on fry and excess stock and this helps to pay for the overheads of the project. 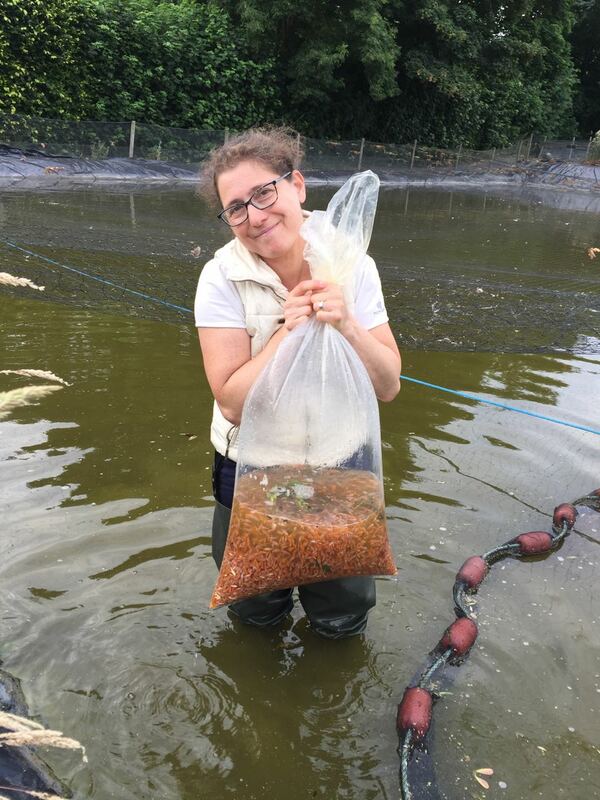 As we’ve improved as koi breeders – the quality of the koi we release has gone up. And, so have the numbers. And to keep our tank space free for the breeding and rearing side of things, we’ve had to learn how to move on our spare stock too – and with greater volume to move on, it’s an area we are starting to put more focus into. When I was in Japan a few years ago, I had the chance to speak to Saito san, the owner of Shintaro koi farm. 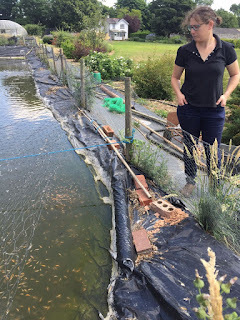 It was a hugely helpful chat, and even with Saito san’s limited English – I was able to show him my blog, and hear feedback on some of the koi I’d bred. 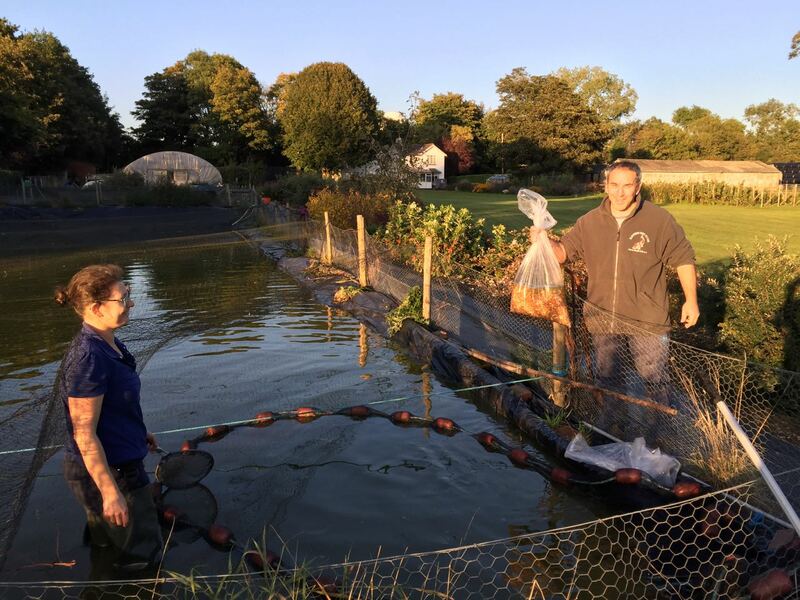 He remarked in summary of what we’re doing, ‘Weekend koi farmer’ and – that’s about the best description I’ve heard of what we are doing. To help with the workload, it's become a family activity. Here's my eldest daughter helping with a harvest. I am setting a new objective. And it’s a biggie. My new 10 year objective, starting from now, is to breed a kohaku that will win a Grand Champion award at a UK koi show (any UK koi show). If I thought my initial breeding objectives were tough… this next one is much tougher. - with the increased scale, I’ll need to get better at moving on our surplus – and this means I need to become more sales savvy, set up sales relationships in the trade and mature other channels like adding the internet shopping pages to my blog site. I need to free up more of my available koi time for the breeding and rearing. You may remember the last time I needed to free up some time a couple of years ago, we scaled back from 3 shows a year to 2 shows a year. And, I am now looking at stopping all together. This will be a significant compromise for me, because I love exhibiting my koi and whilst I will lose that enjoyment, I hope to still achieve the feedback on how well we are breeding koi because I will give other hobbyists the chance to take some of the best kohaku’s we breed; so they can rear them, and exhibit them. I piloted the approach this year – with several great awards being won in this way. That’s given me the confidence to pursue this approach further. And, it will free up 2 more weekends per year, and also remove the pre, and post show husbandry aspects too. I’m not ruling out reversing my decision on this in the future; but for now, we’ll see how it goes. 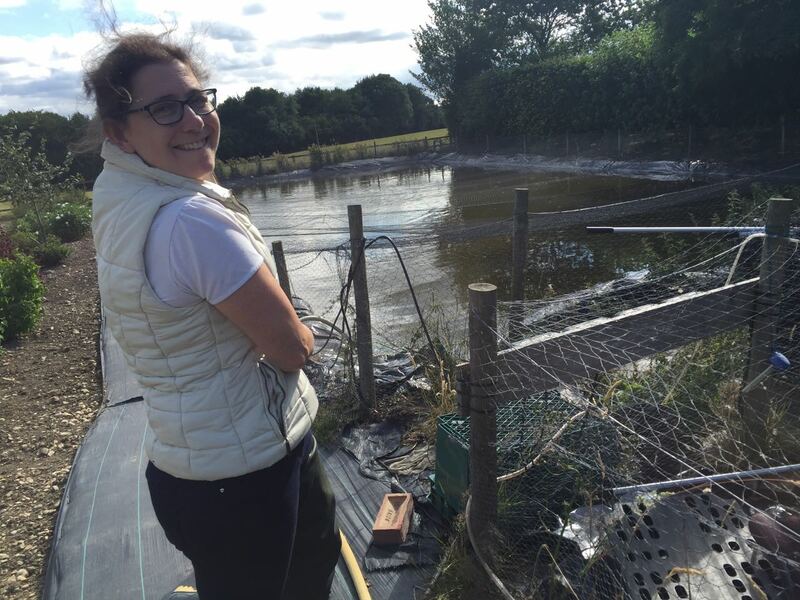 Amanda and I are hugely grateful for the support we’ve had so far; family, friends, hobbyists and the koi industry. Those relationships and the support you have given us are very important to us. Nothing’s changing at my end, I still have my day job. But, I’m dropping the ‘hobbyist’ label, because it’s potentially confusing. And the success we’ve had on the show scene with our ‘Byer kohaku’s’ demonstrates that we’ve developed past that. Over the winter, I’ll be adjusting the labelling on my blog and FB page accordingly. - - And to continue sharing knowledge and information to support the koi hobby. I plan to continue with my blog, which I love writing and sharing the story – as I strive towards my next life goal; to breed a UK bred GC. To those people who are part of the story so far; my family, readers of my blog and facebook page, people who have bought koi from us, and those who have also exhibited our ‘Byer kohaku’s’ at koi shows…. Thank you. We are very grateful for your support, and hope that you will continue to support us in this next phase.